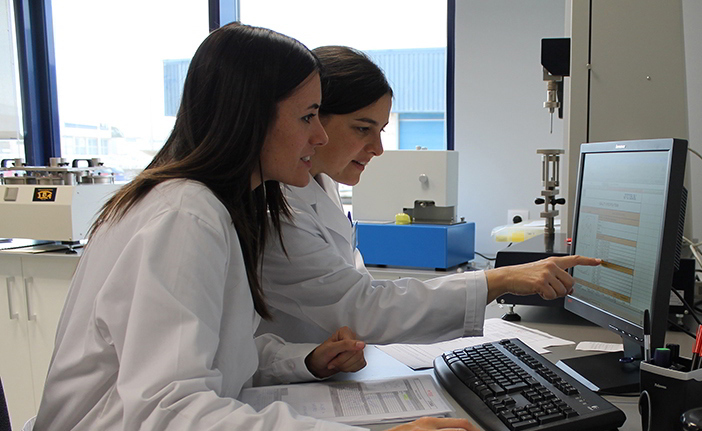 We run tests and checks on our products in our quality lab, relying on continuous monitoring to guarantee that the final product meets strict quality rules. What's more, we train our workers to be able to do their jobs effectively, providing them with the necessary resources to meet management targets. We work with prestigious European organisations such as: AITEX, LEITAT, CTC, SATRA, INSPEC or CENTEXBEL.